Old skool fisherman trying to scare fish to fishing nets in Inle lake, Myanmar. 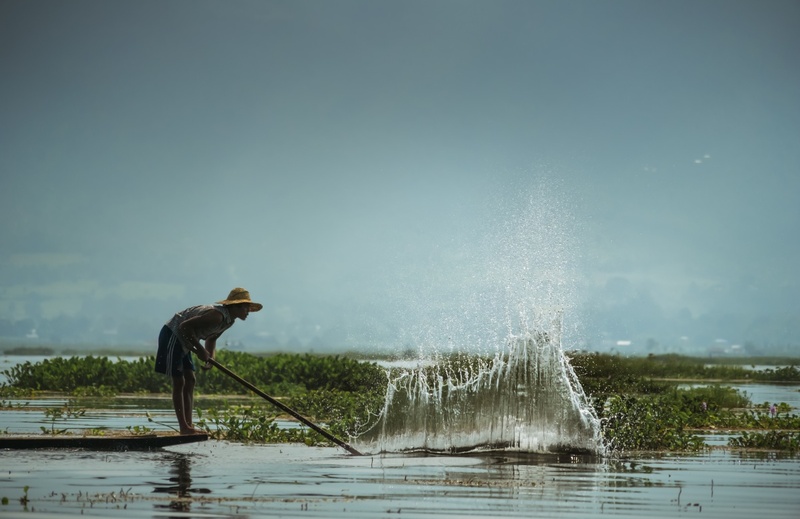 There are two kinds of fishermen in Inle lake. Fake ones with “traditional” basket styled fish traps and real ones that fish with nets. This guy is one of the real ones. Tip: When you take a trip to Inle lake with a boat ask the driver to take you to the real fishermen who don’t ask for money to shoot them. Take a tele lens with you though since you don’t want to mess their fishing.